Discussion in 'Community Discussion' started by Crazy1080, Jan 9, 2012. 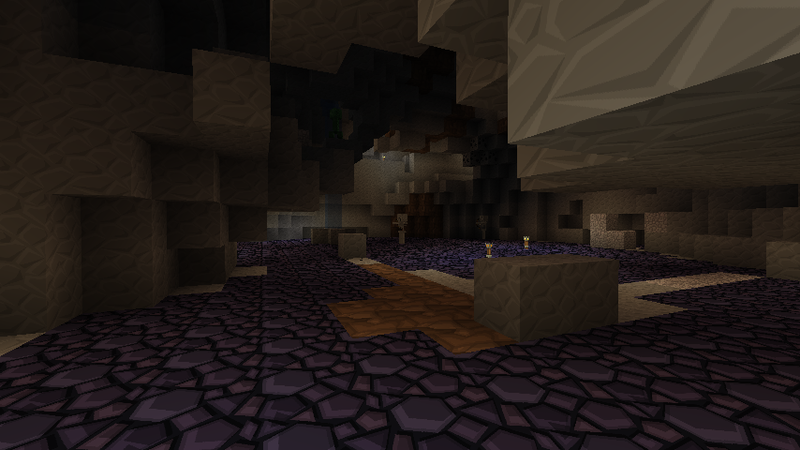 So I'm on SMP3 right now, mining like a miner... I'm just not the best miner ever.. I am terrible at Minecraft. 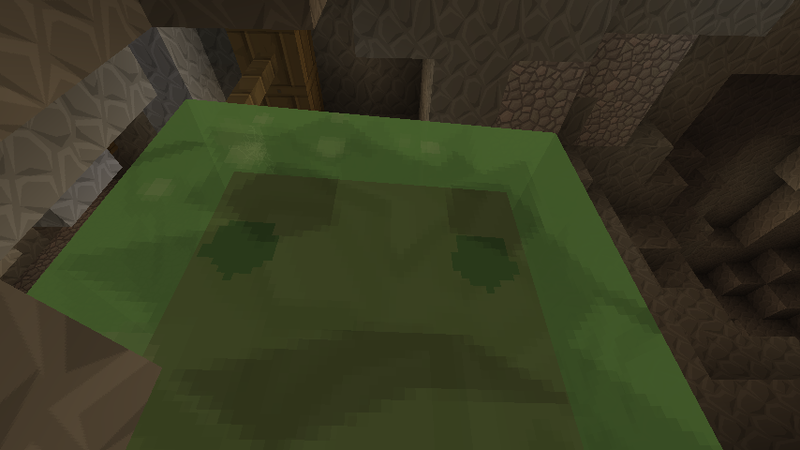 I got stuck in a block and drowned. So I took IPwnCreeps on a little advent trying to find the place I died, only to find that my items had despawned. Yay for losing nine buckets, right? I had a few chests there, so I figured I could use it as a little base. I walked out my back door and fell down a hole. And I almost died. 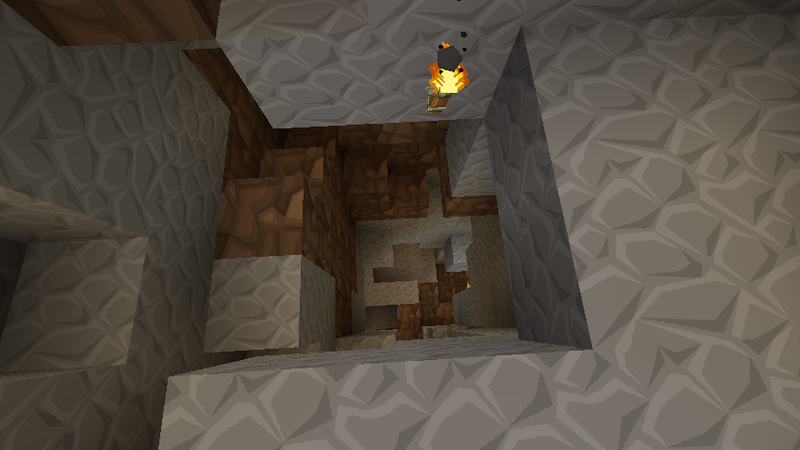 So now here I am, at the bottom of a hole with 2 hearts left. I instantly started nomming on some of my watermelon, but was confronted by a creeper. He exploded making that little crater you see in the bottom of the hole, and also exposed a pretty expansive cave system that I would have never found otherwise. I didn't have any confrontations with Lava, though I guess I shouldn't complain about that While all in all it was a rather uneventful trip, I did get a lot of iron! MR2R2M, Dark_Liz, nnnnmc1 and 2 others like this. I've wanted to write things detailing my adventures before, this is the only time I have actually done it though. Except my pickaxe is gone, remember? Haha, sounds like epic fun Crazy! This is why I love minecraft. I think I'll do more of these after I get around to my Texture Pack Review. You make your own texture packs? No, I am going to start making Texture Pack Reviews on EMC. Like, reviewing texture packs.. It is vector based and meant to be as though you are playing Minecraft in a Comic Book. Yep, that's exactly how it looks too from those screenshots. Are you planning on making a thread testing various texture packs and providing their details? Sphax is awesome, I use that. Yes, I am working on one right now. Are the reviews open to suggested texture packs? Personally I like ovo's rustic pack and misa's realistic texture pack. I like Ovo's as well. I am open to reviewing all texture packs anyone ever wanted me to.